Root canals are often regarded as scary or drawn-out procedures which cause pain and discomfort. Luckily, any general dentist will assure you that this is simply not the case. While a root canal may have a bad reputation, this procedure is actually painless and highly helpful in many dental situations. 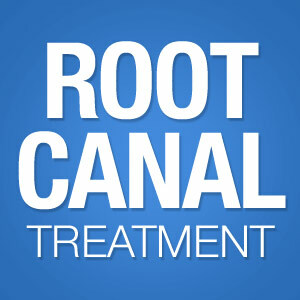 Find out more about root canal therapy and how it can save your smile with Dr. Tamara Simons at Roseville Dentistry in Roseville, MN. A root canal becomes necessary when the tooth’s pulp, the soft tissue located within the tooth itself, becomes infected or inflamed. This usually occurs due to tooth decay, but can also happen after an injury to the tooth damages the nerve. The root canal clears the damaged tissue from the inside of the tooth and ensures that no decay is left behind. This leaves the outer structure of the tooth intact, preventing the need for tooth extraction and the side effects which come along with it. First, your general dentist will numb their work area to ensure you do not feel any pain or discomfort during your procedure. This step is important to remember as root canal therapy has somewhat of a bad reputation for being uncomfortable or painful. After administering the local anesthetic, your doctor will begin to clear the decayed tissue from within the tooth through a small access hole made in the tooth’s crown. Your dentist scrubs the inside of the tooth to ensure no traces of decay are left behind, then fills the tooth using a composite resin material. With the tooth filled, a crown will cover it from the gumline up, stabilizing the large filling and protecting the tooth from everyday use. One of the main warning signs you may need a root canal is a toothache. However, other symptoms can signal that a root canal is in your future. If your tooth has broken, is painful, or has serious decay, a root canal may benefit you. Work with your general dentist to determine if this procedure is the best treatment for your smile. For more information on root canal or how it can save your smile, please contact Dr. Tamara Simons at Roseville Dentistry in Roseville, MN. Call (651) 489-1900 to schedule your appointment with Dr. Simons today!